Christmas time is deco time. It is the time when the houses are festively decorated outside and inside; But it is also the time when it can be really stylish. 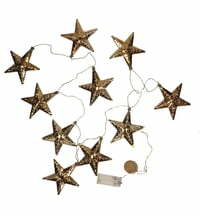 Be inspired by the fabulously festive Christmas decorations that follow. Either you traditionally go for it with a red and white color scheme or you try a decoration that is deliberately different - eg. with cheesy colours. Here are our ideas that will make your home look beautiful for Christmas. What makes guests more welcome in the Christmas season? A wonderfully designed entrance. A door wreath makes the beginning, this can be made simply from a few plants, such as Magnolia, positioned to the left and right of the front door. If you take living plants (which we recommend), you can plant them later in the garden. Often overlooked, but a wonderful deco choice is the postbox. This beautifies the house entrance and serves as an eye-catcher. Just turn your postbox into a colourful Christmas tree. 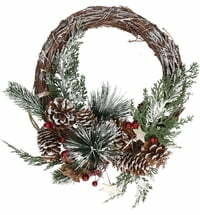 It is best to use brushwood and bind it with ribbons in the desired color to form a kind of garland. These are then arranged around the postbox in a voluminous bow. Everything is best fixed with a thin, flexible wire or a string. Lanterns with candles spread cosy warmth. The nice thing is that this idea is incredibly versatile. There are countless lantern and candle shapes that you can customize to your personal style. Whether you use matching sets or completely different lanterns, they all have their effect. In the vicinity of the lanterns, you can strategically place a few dummy gifts to make the Christmas spirit even more tangible. Almost every house has old Christmas tree ornaments that have accumulated over time. The nice thing is that you can use them again and again, even if you have already bought a new set of Christmas tree decorations. Decorate with a variety of ornaments, colours and themes, give your Christmas tree a very personal touch that can not match the standard, uniform Christmas tree decorations. On a large dining table, you can set up a large, elegant decorative centrepiece. Here you can let the imagination run wild and use everything from red roses to berries to massive silver vases, brushwood or cones - anything is allowed. Metallic surfaces, eg. Silver vases, reflect warm candlelight and the rich colours of flowers, which gives the whole set even more depth. Here you will find festive possibilities for the Christmas table. With this idea you bring your table to a new level. Homemade napkin rings are not only absolutely individual, they are also an eye-catcher. Let your imagination run free and tune the napkin rings to the rest of your interior. Instructions can be found on the Internet - search a little and you can choose the style that suits you best. So that the Christmas spirit is felt in every corner, you should decorate as much as possible. A good idea is the lamps, especially those that hang from the ceiling. A green garland, tied to the cables with a cord, adds to the mood. Also, ask yourself what else you could decorate. Columns, railings and others - the imagination knows no bounds. 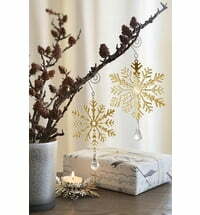 Alternatively, you can also use lamps with Christmas motifs . Of course, Christmas lights should never be missing. These can not only be used outside, but also in the house. Here they set accents and attract attention. 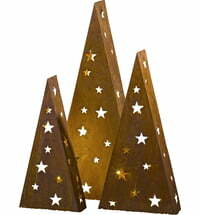 Decorative tips for Christmas are countless and unfortunately we can mention all. As said earlier, we want to inspire you with these ideas that stimulate your imagination. Finally, you can decorate your home best. The nice thing is that you can do practically nothing wrong - as long as it pleases and the home looks festive and cosy with your design, everything is wonderful. In this sense: have fun decorating and have a beautiful Advent season.